If you are new to using coupons, you may have heard of “doubling” and “tripling” coupons, but this terminology may be confusing. I get lots of questions about what this means, so here are a few answers to “frequently asked questions.” If you have stores that double and triple coupons in your area, I’m incredibly jealous, by the way! What does it mean to double and triple coupons? Does that mean I can use two or three coupons for one item? You can only use one manufacturer’s coupon per item ever. If your stores double or triple coupons, it means that the store will double or triple the face value of the coupon. For example, if you have a coupon with a “face value” (meaning the actual value of the coupon) of $.35 and your stores triple coupons, then $1.05 would be deducted when you purchase a qualifying item and use the coupon. If your stores double coupons, $.70 would be deducted when you purchase a qualifying item and use the coupon. This is great because it means that when items are on sale for $1, you can get them for free if you have a $.35 or $.50 coupon! How do I know if my stores double and triple coupons? A lot of times, stores will advertise that they double and triple coupons in their weekly ads. If your store doesn’t do this, it doesn’t hurt to ask! You also want to be sure that you know the store’s policy for doubling and tripling coupons (some stores only offer double/triple coupons on certain days or will only double or triple a set number of coupons per transaction). Many times, you also have to have a customer loyalty card or a special coupon to activate a double or triple coupon promotion. Again, it’s best to check with your store for details. Also, typically, you do not get “overage” from using a double or triple coupon promotion. For example, if I am buying an item that is $1 and I use a $.35 coupon which will triple, only $1 will be deducted rather than $1.05. My coupon says “do not double” – will it still work? It might work. It depends on the coupon. 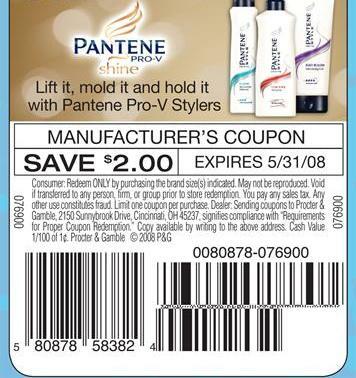 If you look at your coupons, there is a “code” along the bottom of the coupon. If the code at the bottom starts with a “9? then the coupon will not double/triple. Most of the “blinkie” coupons you find in the machines in grocery stores start with a “9? and will not double or triple. In my “Tuesday Tips” post this week, I talked about ethical coupon usage and one of the things that I mentioned was not copying coupons. Some people assume that all printable coupons are the same and that it’s OK to copy them, but that’s not true and when people copy coupons and then use them, it hurts all of us! I got several notes last night and early this morning about a $2/2 printable coupon that included Listerine, Aveeno, Carefree, and Band Aids. I have used this coupon in numerous match-ups and it was even included in my CVS and Target match-ups originally this week. The original information I found indicated that the coupon had been added to the CIC fraudulent coupon list. Apparently, someone copied multiple copies of this coupon and was selling them, too, which is why it is now on the list. If you printed the coupon yourself from an original link, you can verify the authenticity here. Unfortunately, stores will be receiving messages from the CIC showing the counterfeit coupon and stores will not be able to tell which coupons are “valid” and which coupons are copied, so they will probably begin refusing all copies of this coupon. I’m hoping this will not affect the acceptance of other printable coupons at my stores because using coupons has gotten hard enough at several of my stores already! 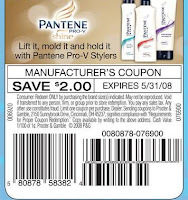 For the record, printable coupons include a number of unique features to prevent you from copying them including watermarks and unique veri-fi codes in the upper right hand corner. When people alter or copy coupons, it hurts all of us. The manufacturers will not be reimbursed for these coupons and we will pay for it in increased costs. In addition, our stores will become less coupon friendly if they are “burned” by fraudulent/greedy coupon users. -If a printable coupon seems too good to be true (free, high dollar amount, etc. ), it probably is. Check the CIC fraudulent coupon list here before printing. **Not one defendant has been acquitted in a CIC related coupon fraud case since operations began in 1986. If you are overwhelmed by paper coupons, you can still save at the grocery store using loadable online coupons. If you’re already comfortable using “paper” coupons, you can save even more using loadable coupons if your store allows you to “stack” both! Sometimes if there is a “paper” manufacturer’s coupon that also matches up with the participating item, you can use both coupons which means greater savings at the register! Also, at some stores, if you have coupons loaded for the same item from different sites, all of the loaded coupons will come off at the register. I have been able to get items for free or close to free when this happens. The coupons do have expiration dates. Typically, these dates are toward the end of the calendar month. Cellfire – At Cellfire, you register your mobile phone number and your customer loyalty cards. You get an initial text to “verify” your enrollment. I have been a member for over a year now and have not gotten any additional text messages from them and I also have not received any solicitation phone calls. You can load coupons for both Kroger and Safeway stores. Each month, new coupons become available and they will typically send you an e-mail to let you know about the new offers. They also have offers for other services such as Sears photo discounts which you can save to your phone and then show in the store to get discounts. Kroger– Register your Kroger Plus card at Kroger.com and add valuable money-saving offers to your card. P&G E-saver – Load valuable P&G (Procter & Gamble) coupons to your Kroger card. Shortcuts – Register your Safeway and Kroger cards at Shortcuts.com and each month, you will be able to load money-saving coupons for popular products to your shopping card. The discounts come off automatically when you use your card at the register and purchase participating products. They will also e-mail you to let you know when new coupons are available, they will let you know when your coupons are about to expire, and they will e-mail you a summary statement to let you know what coupons you have redeemed. Upromise – Upromise allows you to save money for college when you purchase participating items. Register your customer loyalty cards for CVS, Kroger, and Safeway at Upromise.com. When you purchase participating items (there is a list available on the site), you earn a percentage of cash for college savings. You can earn additional bonus money by loading e-coupons to your customer loyalty cards. This money does not come off automatically at the register the way the other loadable coupons do. Instead, it is added toward your Upromise college savings account. You can save additional money for college by shopping through the retail affiliate links on the site. What if I had coupons loaded to my card and they didn’t show up on my receipt? Sometimes the coupons you have loaded to your card may not show up on your receipt. If you have coupons loaded to your card that are not expired and you purchased the correct product, keep your receipt (you will often have to provide a transaction number or other details to verify your purchase) and click on the “Contact us” link on the company’s website (Cellfire, Shortcuts, etc.) to contact them. Typically, they will issue a credit which will be deducted on your next purchase. Will loadable coupons double or triple? Loadable coupons are one time use and unfortunately, they do not double or triple like paper coupons. How do I know what coupons I have loaded to my card? You can typically print out a list of coupons that you have loaded to your customer loyalty cards. Coupon Basics: The truth about 10 for $10 sales! Also, when there are 10 for $10 “mix and match” sales, you can buy different items and still get the sale price! I have had several people ask me about why I “pay money” to buy coupons. To them, it seems counterproductive. I can understand why, on the surface, it might seem that way, but actually using a coupon clipping service to stock up on “hot” coupons helps me to build my stockpile and save a LOT of money in the long run. Here’s one of my favorite examples: in my area, Bird’s Eye Steamfresh vegetables frequently go on sale 10/$10. My stores double and triple coupons and there are frequently coupons for $.35/1 or $.50/1 for these items which means they are free when combined with a sale price and coupons that double or triple. So, I may pay $1-2 to get 10-20 coupons, but I end up getting 10-20 bags of vegetables ($10-$20+ value) for just $1-2. If there are “high dollar” or “free” coupons for items your family uses regularly, these are also great coupons to stock up on. Examples of recent coupons I have stocked up on include the $4 Gillette razor coupons and the $2.25 Electrasol coupons. *My Coupon Hunter ~ This is my favorite coupon clipping service. She doesn’t have minimum purchase requirements, turn around time is quick, and her communication is great! She ships from Florida. Like everything else, there are “supply and demand” issues and if there are hot coupons, they usually go quickly. Most coupon clipping services post their coupons early on Saturday (and sometimes even on Friday night), so it’s good to learn when they post their coupons and place your order early to make sure you get what you want. The Sunday coupon preview is usually posted by Wednesday or Thursday, so you can also get a “heads up” on what coupons you want to get your hands on that week!